xva – haven within a haven | travel. live. xva is one of the older and leading contemporary regional art galleries in dubai. located in the less known historic area of dubai on the creek called bastakiyya, the gallery is housed in one of the older structures, organized around a main courtyard and a secondary rear courtyard. the main gallery is made up of several rooms around the central courtyard. but it is more than a gallery. 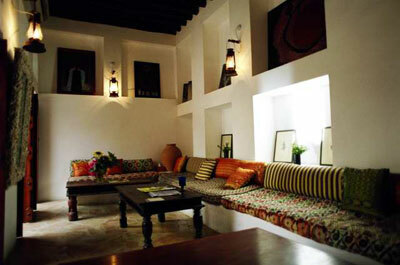 it has a courtyard cafe (you have to try the xva special tea, and lemonade), and in the summer months you can enjoy your order in one of two air-conditioned rooms; a boutique hotel of just a few rooms; an artist in residence quarters (currently featuring the iarqi artist halim al malik). they also organize creek tours on their own dhow xva h2o, and are the driver behind bastaflea, the flea market taking place on saturdays. i forgot to mention that they also have outdoor movie screenings in the courtyard, only in the winter months – the hot months are quite oppressive with temperatures officially reaching 50C and about 90% humidity. you can also rent the space for special events – it is a very lovely setting. the only drawback to xva is getting there, what with dubai traffic. so, to some extent, looking selfishly at it, it is just as well that not too many people venture there, so xva can remain this quiet haven away from the buzz of dubai within the quiet neighborhood of bastakiyya – i am sure the owners of xva disagree with me on this. i do encourage you to go visit. the owners and management team are quite charming and approachable. introduce yourself. and definitely get on the mailing list.